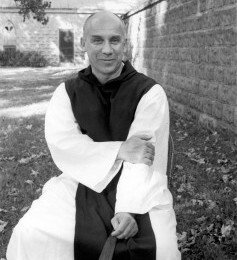 2018 marks two significant anniversaires associated with Thomas Merton (Fr. Louis, OSCO). It is the 60th Anniversary of his epiphany at the corner of 4th and Walnut Streets in Louisville, Kentucky and the 50th Anniversary of his death. We will spend a day reflecting upon the legacy of Merton paying particular attention to two concepts from his writing: the childlike wonder, encouraged by Jesus and the development of our own wisdom, received from God. Using various prayer styles and creative activities, we will attempt to recapture the wonder which leads to wisdom. Dr. Melanie-Préjean Sullivan is Director of Campus Ministry and an Adjunct Instructor in Theology at Bellarmine University in Louisville, Kentucky. She is a visiting Lecturer at MBIT Cambridge this year and was the Cardinal Hume Scholar in 2017. Retreat and Conference Centre, Killenard, Portarlington, Co. Laois. 9.00 a.m. to 17.00 p.m. Monday to Friday. Telephone enquiries should be made between 9.00 a.m. and 17.00 p.m. Monday to Friday only. Registration at 17.00 hours and Supper at 18.00.